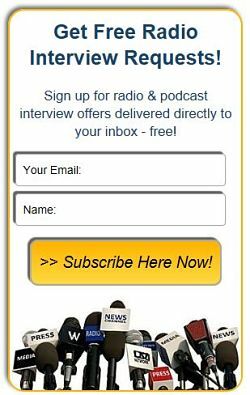 Velma Trayham Award-Winning Business Growth Expert & Author - Radio Guest List.com - How to Get Radio Interviews and Find Podcast Guests! Velma Trayham is an expert at building brands from the ground up. She has helped hundreds of entrepreneurs, pastors, and leaders around the U.S. achieve growth and visibility in the market place. Velma cites the grace of God as the catalyst for her current success, and she wants to share the secret of embracing your own “GO” moment so that you can move toward the destiny God has ordained for you, too. Velma is also a National Business Empowerment Speaker and author of WHEN GOD SAYS GO: The Blueprint for building a bridge over any obstacle that’s keeping you from reaching your fullest potential. In the market for life-changing advice for professional and personal growth based on concrete experience? Velma's book When God Says Go is for you! This new guide will show you how to survive and thrive in business and forge a path toward success in every area of life while overcoming FEAR, DOUBT, & DISBELIEF. When God Says Go is the triumphant story of how Velma Trayham was led by the spirit of God to leave her home town Houston, TX, relocating to Atlanta, GA.
Velma operated in the epitome of FAITH: She survived a troubled childhood, hurt, betrayal, and survived failing several times in business before she reached success. But 4 weeks after her move to Atlanta, Velma was involved in a car crash that could have killed her, being hit by 2 vehicles including a semi-truck. Velma's car was totaled, no airbags deployed, but she walked away from the accident without a scratch. The impact of the accident provided her with a new found clarity: Velma's mission is to educate and empower people from all over the world and all walks of life to find healing, happiness, and success. Velma's quotes: " Temporary Failure Is Not Permanent Defeat," and " It's not how you start its how you finish." Velma offers professional tips and stories of God-ordained “go” moments that launched her toward success. You, too, can learn how to “go”—and “grow”—with God! An interview with Velma will empower your listeners to EMBRACE THEIR GO MOMENT and forge a path toward success in every area of life, drawn directly from her own life experiences. Velma is a frequent Keynote Speaker at Expos, Award Shows, Seminars, and Religious Organizations. Encouraging her audiences to live their dreams and not to let failure become a state of mind. Velma offers professional tips and stories of God-ordained “go” moments that launched industry leaders toward success. You too can learn how to “go”—and “grow”—with God! If your event attendees are in the market for life-changing advice for professional and personal growth based on concrete experience, Velma Trayham is the speaker for you! Velma will show how to survive and thrive in business and forge a path toward success in every area of life. Velma continues her journey, providing a clear and practical blueprint for personal success, drawn directly from her own life experiences.